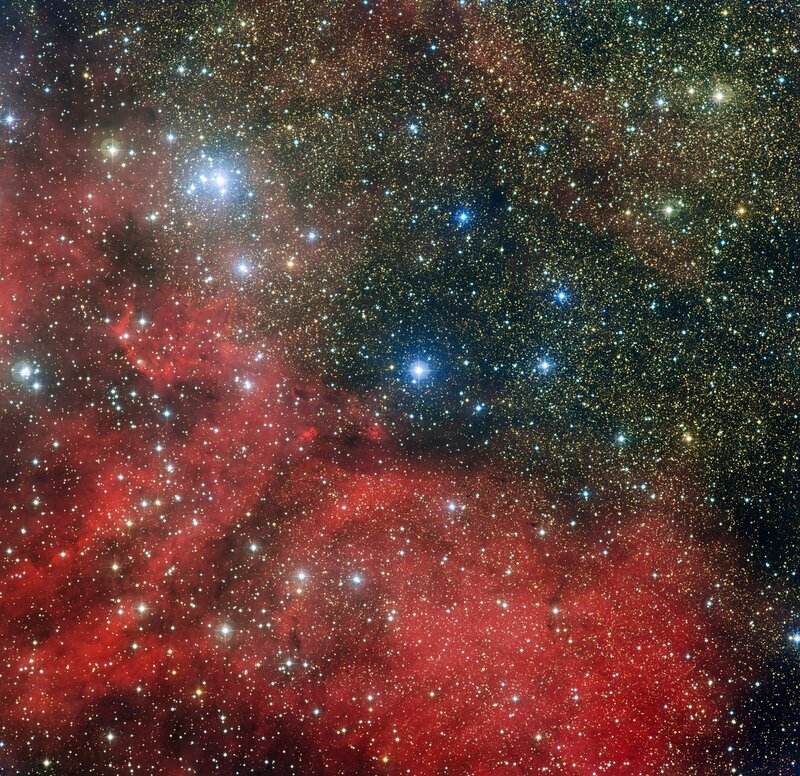 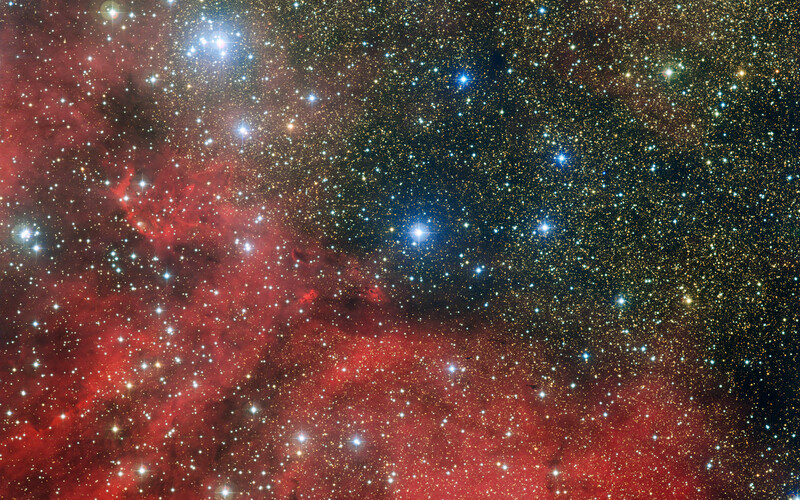 The star cluster NGC 6604 is shown in this image taken by the Wide Field Imager attached to the 2.2-metre MPG/ESO telescope at the La Silla Observatory in Chile. 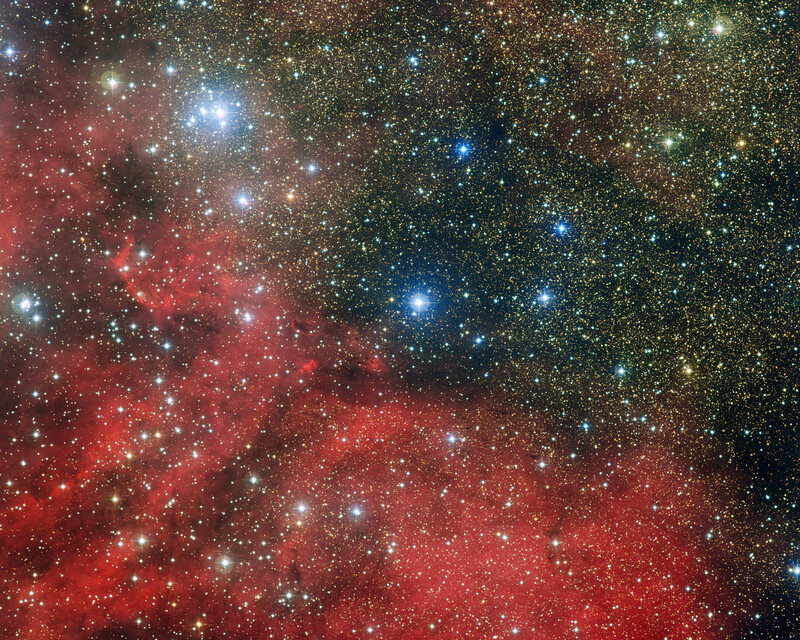 NGC 6604 is the bright grouping towards to the upper left of the image. 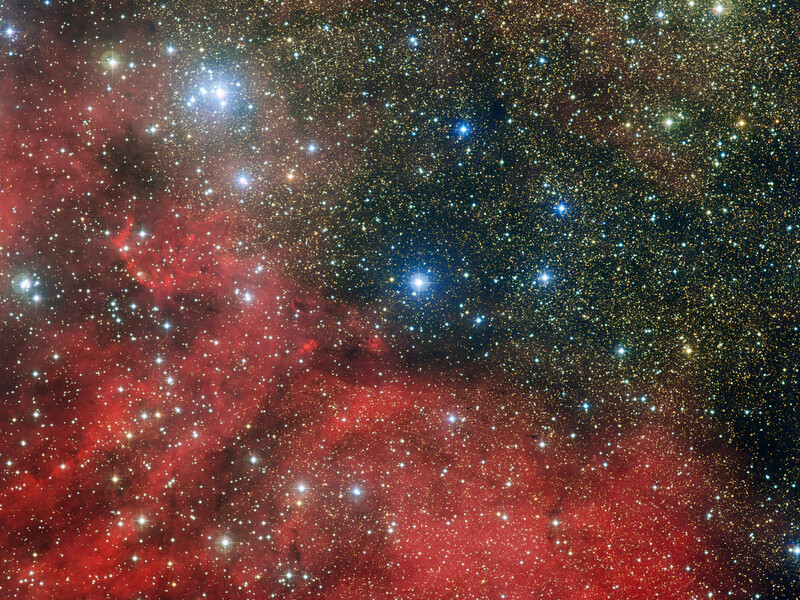 It is a young star cluster that is the densest part of a more widely scattered association containing about one hundred brilliant blue-white stars. The picture also shows the cluster’s associated nebula — a cloud of glowing hydrogen gas that is called Sh2-54 — as well as dust clouds. Position (Dec): -12° 5' 38.76"